I’ve been gone for so long! Aaaaaaaaaaaah! Busy life stuff. I even missed a few weeks of classes…total bummer. BUT! 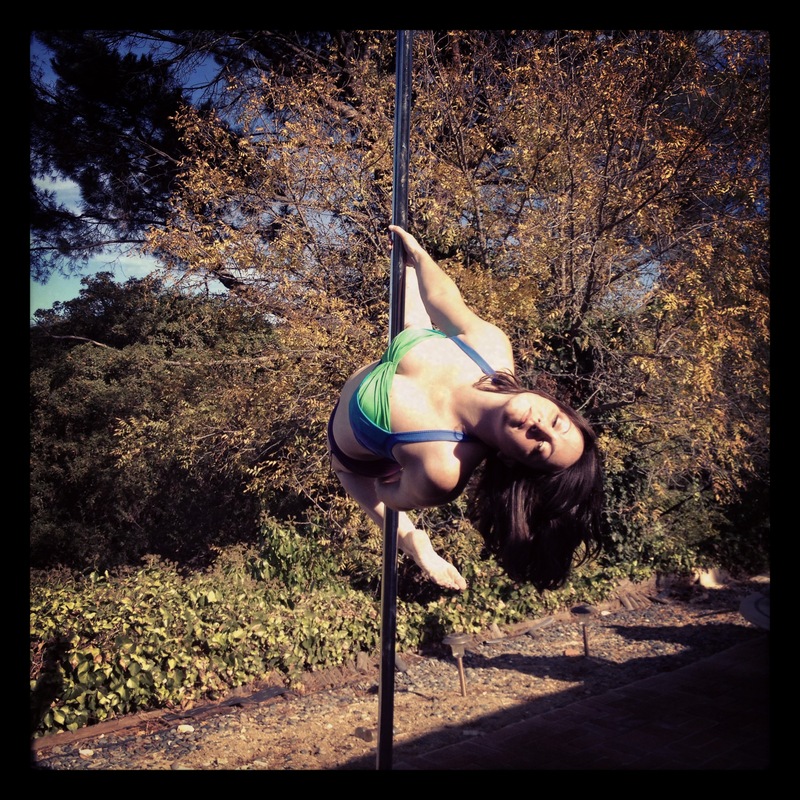 This weekend I participated in a Pole for Charity event, which was a lot of fun! LA has so many polers, and we’re all connected through some degree of separation, which is how I ended up hearing about the event: a social media friend asked me if I was attending, I looked up the info, invited some other friends, etc. 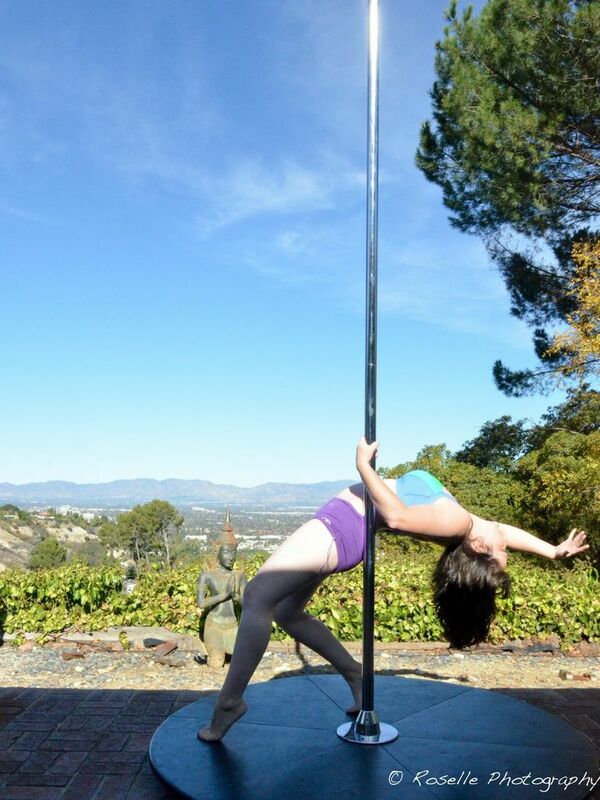 I love the idea of pole events for charity. I would love to be savvy enough to organize a big one to benefit pet rescues in the LA area! Anyway, I was really nervous about the shoot – I’m curvy, so I wasn’t sure I wanted every curve on display, and I wasn’t sure what poses would look pretty on me. We had some technical issues because one pole was stuck on spin mode, and the other stage wasn’t usable because the rental company gave us the wrong connector piece for it, so the only option was to work on the spinning pole. 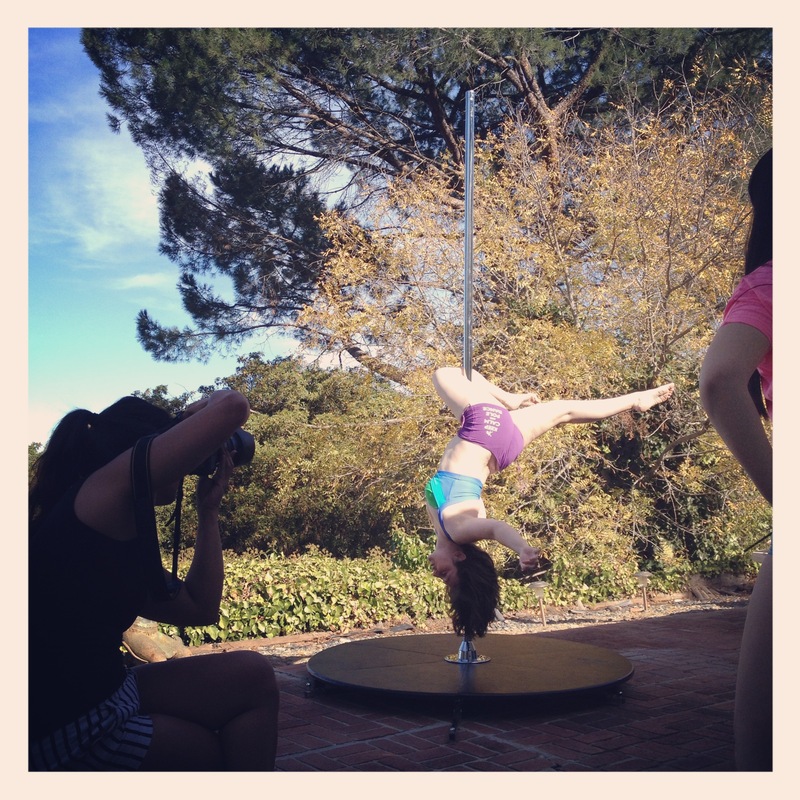 I don’t do much on spin pole, so it was a real challenge to feel at ease (and to just get into stuff). We had some issues with shadow from the house, so most of the gals were climbing higher to get into the light…but since aerial inverts are a nemesis of mine, I wasn’t able to do much until later – I *fought* for that invert at the top of the pole, so that I could do a jade/pike. The entrance wasn’t pretty, but the photos turned out well. 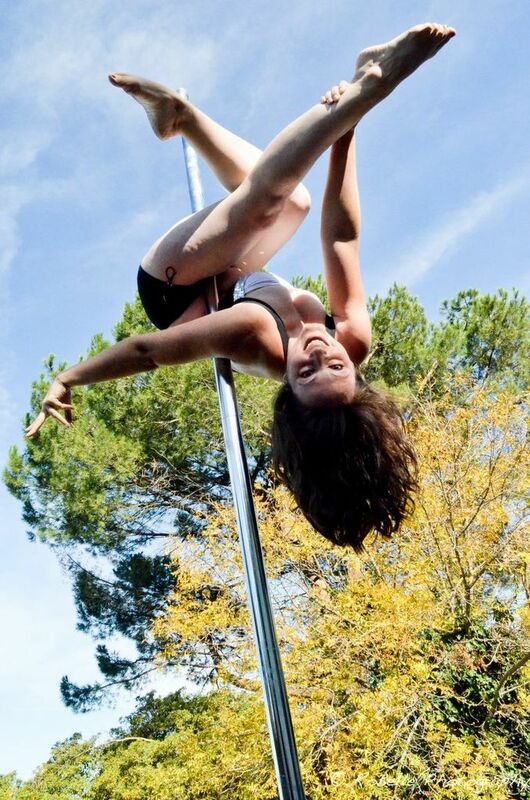 Our photographer was encouraging us to free style, so she could capture moments in the flow, but since I rarely use spin pole when dancing, it took me a while to do much of anything. Posted on December 3, 2013, in Uncategorized and tagged pole charity event, pole photo shoot. Bookmark the permalink. 2 Comments.